◆ Four-wire type, one pair insulated clip. 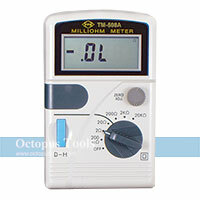 ◆ 3-1/2 digit LCD display with maximum reading of 2000. ◆ With zero adjustment control. 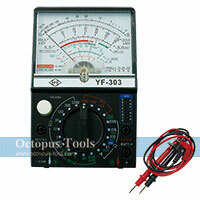 ◆ Wide measurement range from 1 milliohm to 20k ohm in six switchable steps. 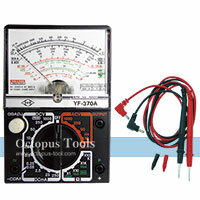 ◆ Fuse protection: 2 Amp/250Volt (5mm x 20mm), fast minimum interrupt ratings 1500A. 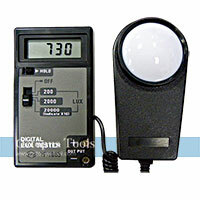 ◆ Function keys: D-H switch lockup readings for LCD display. 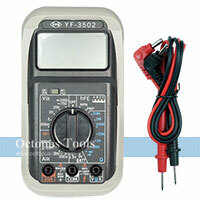 ◆ 3-1/2 digits LCD display with maximum reading of 2000. 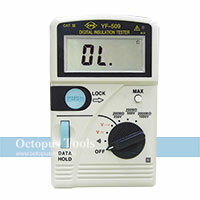 200 Megohms / 0.1 Megohms / ±(3% of rdg + 3dgt) / 250 Volts / 0.4mA max. 200 Megohms / 0.1 Megohms / ±(3% of rdg + 3dgt) / 500 Volts / 0.9mA max. 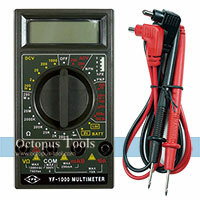 2000 Megohms / 1 Megohm / ±(3% of rdg + 5dgt) / 1000 Volts / 1.7mA max. 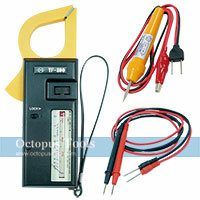 ◆ This clamp meter can prevent interference from magnet fields. 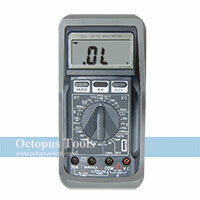 ◆ Overload display as "1"
◆ Low battery display as "±"
◆ Test below 50W, buzzer will sound. ◆ Please contact our sales team (trading@octopus.com.tw) for detailed specifications.